I can’t believe this season of the Bachelor is over! I feel like it just started! Before I get to what happened on After the Final Rose last night I have a few quick things I want to talk about that happened during the finale. My first thought when it started was that Nick’s family must have been pissed when they found out the weren’t traveling to a tropical island and instead were headed to the North Pole! They already met the two girls on the Hometowns and now it’s time to travel and it’s FREEZING cold! Ha! And they are from Wisconsin! I bet a tropical vacay would have made their year! Next time? Kidding. Vanessa’s interaction with Nick’s dad was one of my favorite moments on the show ever. It was so raw and real. I love how close she ALREADY is with his family to be able to open up like that. Anyone else find the Santa thing weird? It’s March! I get that they are in the arctic circle and this filmed back in November, but I just found it strange. Plus sitting there and talking to (IF YOU BELIEVE IN SANTA STOP READING NOW!!!) a stranger who is pretending to be Santa isn’t really a great way to spend their final moments together. I’m glad they got some good time to talk afterwards. In the end, Nick let Raven go. Poor Raven. I just love her and it really broke my heart seeing how crushed she was. After their last date, she was so certain that she was getting engaged to him at the end. But I will say this about Raven, she has so much class and strength that I know she will be ok and I also know she will find someone amazing to share her life with. And hopefully it’s this summer in Paradise! She’s such a sweetheart that I happily welcome her back on my TV screen! With all that said – Congratulation to Nick and Vanessa! I think many felt their intense connection all along and I can’t wait to see what life has in store for them! Since Nick is doing DWTS, I am guessing Vanessa will be spending a lot of time LA. So I’m totally going to beg her to come over to do an interview with me about life after the show. So hopefully come back for that! Now let’s talk about After the Final Rose. A lot of people called this ATFR the most awkward EVER. Do I agree? Well, kind of. Was it awkward? Well, yes. It’s live TV and that can be awkward in general. But I think people thought it was weird because it was REAL!!! Vanessa isn’t the type of person to sugar coat things and she was honest last night when she told all of us that things with her and Nick aren’t easy and can be “challenging.” People assume that means they aren’t in a good place. I didn’t read it that way at all. I think she is a smart women to question this whole Bachelor world and to hold Nick accountable for everything that happened on the show. And she addressed that it’s NOT easy to be a couple after this show. I think most couples go on ATFR and act like everything is all perfect and easy. I know I acted that way when I was on the show because I wanted people to believe in my love and relationship at the time. But it’s NOT easy. It’s hard to watch the show back when you’re engaged. And Vanessa was just being honest about that. And I’m sure she called Nick out and held him accountable for what happened on the show. Yes, she signed up to date him while he dated other women at the same time, but that doesn’t mean she can’t question him and have concerns about what happened and the feelings he had for the other women. Wouldn’t most of you question a man if he broke up with a women and propose to you an hour later? So what I’m trying to say is that yes, I thought Nick and Vanessa were slightly off compared to other couples on After the Final Rose in the past, but I think that’s because they are being REAL with us! Do I think they will make it for the long haul? I don’t know. That’s up to them and only they know what their relationship is like behind closed doors. But I do wish them all the happiness in the world! And can’t wait to double date! Congratulations again Nick and Vanessa. I adore you both. Don’t ever apologize for being real and honest with yourselves and with all of us! Enjoy every moment of your newly engaged bliss! BTW, you can get Vanessa’s black sequin gown from the proposal HERE! And on my gosh I love that they surprised Rachel with 4 of her men last night!!! I was skeptical about this “historical surprise” leading up to last night, but man did Chris Harrison deliver!!! And yes, these interactions were awkward!!! But that’s because you guys are seeing this live for the first time. I LIVED it live and I will tell you that it IS this awkward! It’s just normally edited when you guys see it on the premiere. But how cute were Rachel and Eric and their dancing|!?!?! He is my pick for her so far! And I a just so dang excited about her season! I’m so curious what you guys think about ATFR, especially now that you’ve read my thoughts! Let’s discuss in the comments below! Before you go, check out my affordable looks from this week! Both looks are with the same black wrap dress that’s under $50!!! It’s such a great dress that you can wear with so many looks! I couldn’t agree more with your take on ATFR. I feel like they’re just keeping it real and that was weird for people to watch. And like you said, just because she signed up for the show doesn’t mean that it still isn’t difficult and that her feelings aren’t valid. Well said! First of all, congrats on your recent marriage. I was getting a pedicure yesterday and caught your wedding pics in the Us Magazine. Ok, about last night and boy, was it good!!! That horse ride with the beautiful snow was A M A Z I N G! It almost looked unreal. I greatly appreciated Vanessa’s real ness with her emotions. I was tearing up with her and totally understanding her whole thought process. I was surprised when she said, she had never watched to full episode of The Bachelor. I just assumed that women coming on the show know exactly what they are putting themselves in and that he may possibly sleep/fall in love with a few. Which if you’re the one chosen in the end, you will have to one day watch how it all played out. She said, she didn’t watch it though which is also surprising because I think I would watch it from beginning to end, lol. Anyway, I’m happy for Nick. I wasn’t a Nick fan, but he totally grew on me this season. Not that I didn’t like him, I just didn’t follow him closely from the other shows. I will definitely check him out of DWTS next week. Until the next season starts, take care Ali!!! Totally agree with your comments on the “awkwardness” of the After the Final Rose. I totally thought he was going to choose Raven, then as soon as the episode began, I had a change of heart. I feel really bad for Raven, she seems like such a sweetheart! I think your right, it takes a lot to be open and honest about the relationship they have. Especially on national TV. I wish them the very best!! I agreed with you about N & V being awkward because they are real. I think their dates/alone time were like that too. She challenges him & holds him accountable & I think he likes that about her. How can you not appreciate knowing you’re not getting verbal pollution but the real stuff! I wish them well. I am excited about Rachel’s season. I think she’s respectable. It seems like they offer up a couple of respectable seasons, then throw one “ify” season in there, where the person is hard to take serious and hard to invest in. I have a question though, how is it that so many of the bachelors/bachelorettes end up going on vacations for a living? I’m confused. I thought about this because the world of special needs people NEED Vanessa. I’d hate for her to start showing up on Instagram selling hair vitamins and boxes of beauty/fitness supplies rather than doing what she loves and what the world needs. Corinne had started to grow on me by her demise on the show, but then I saw her being interviewed the other day and she pitched her family having a reality show. I’m sorry, I was counting down the shows til she didn’t get a rose, I wouldn’t watch her family do what they do on a reality show. I think Vanessa has more character and drive than to just promote vitamins for a living. She may do it, but I’m sure in addition to helping others. 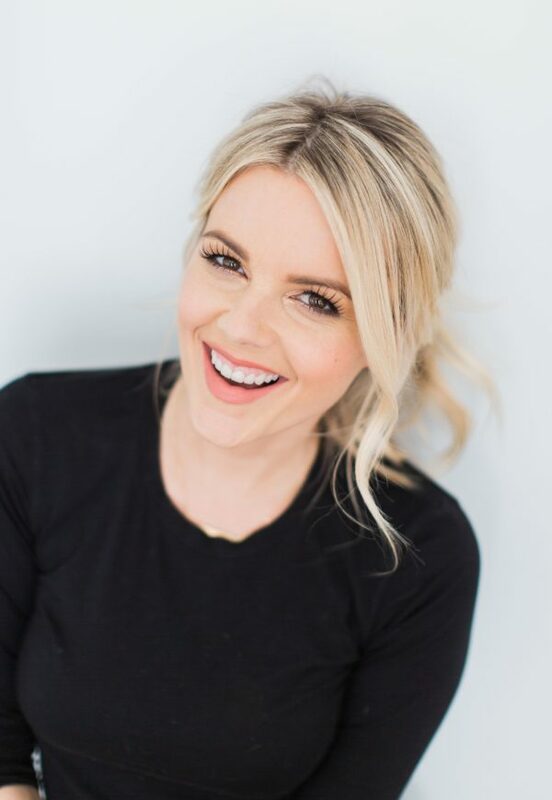 There are other previous contestants that do push a few products while still doing their profession….like Ashley Rosenbaum. – and Ali too, ha! Katherine, I love everything you’re saying! I hope Vanessa stays real and true to herself and doesn’t become a salesperson. I think what people love about her is that she is so real. I also completely agree about Corrine, she was growing on me until she made the TV show comment. Bleh. That’s just annoying. Good question since Ali’s only job seems to be selling the crap out of useless stuff that she gets for free and paid to promote online. I personally hate it when they do that crap. No I’m not going to put money in your pocket when I actually work for a living so that you don’t have to work. Kellie how can you say that’s her only job? Do you know her personally and know all the endeavors she pursues? Also, have you noticed that she is a mother, which is a full time job all in its own!!! Remember she’s a real person, who deserves kindness. Thank you Kensey. I can’t believe someone will come on Ali’s site and try to degrade her. How do you know that you’re not already putting money in her pocket by participating in her blog? Continue on with the good work Ali. I appreciate you. I actually find Ali’s career to be way more reputable than most of these people off the Bachelor now-a-days. Ali started a blog way before everyone else jumped on that bandwagon. And she doesn’t just hawk useless products on Instagram.. She runs a style blog and promotes clothes and styles that she actually wears in her life. So what if she got them for free?? I appreciate that she suggests affordable clothes, unlike other Bachelor franchise women who promote clothes so unbelievably expensive for the average person. AND she is super regular about posting and obviously puts a lot of time and thought into her blog. Bye troll!! Kellie, you are such an idiot!! First of all, it’s really in poor taste to go on someone’s blog to insult them. If you’re not interested, don’t read it! Second, if I may point out, Ali was in social media and advertising before the bachelor… the only difference now is that she’s doing it as her own business (good for her!). She’s interested in fashion and style and that’s what her blog is about, and it’s for other people who are interested in it! And she does a very professional job, imho… which is very different from pushing anything and everything on instagram just because you have followers. And btw, if I remember correctly, Nick worked in sales… and I think it’s kind of neat that he’s designing a men’s product line. Love him or hate him, the guy is always well-groomed! I don’t see anything wrong with using an opportunity like the bachelor/ette as a launch point to pursue something you are really passionate about. Exactly. Haters can hate but they are doing what they love and making money doing it. Keep it real people. You are just jealous that you arent able to do it. I agree! It is almost refreshing to see a couple from the show discuss their difficulties because that is reality! This is the first season we have seen the leading lady speak so honestly about her emotions and struggles and it is so relatable. I am in a loving relationship and there have been moments that have been so hard but it is real life and you commit to work through it. Vanessa has not let the show sweep her off her feet she has stayed true to her values and really asked the questions to ensure she wanted to be with Nick as well. I hope for the best for them and if they can make it through the first few months I think they will make an incredible team. Couldn’t wait to see your thoughts, Ali – always on the exact same page! Nick’s facial expressions were sooo off putting. He seemed so checked out at times. Even when Vanessa would talk, it’s like he had to remind himself to get back in it or something. I agree, Brigette. In fact, I wasn’t convinced that Nick was really into wanting to be engaged to either of these women. I never saw him look like he was in love. There was a lot of crying – but I don’t necessarily think that was love. Just my thoughts. I agree ! I honestly thought he should have walked away from both even though i love raven. He still seems like he is heart broken from his previous experiences. Also did anyone else notice that his mom seemed unimpressed by Vanessa? ! Nicks hungry for attention and tv. I hope they make it but he’s never been high up in my book of bachelors. I completely agree with your thoughts, and really do think they were keeping it real. I’m honestly surprised you didn’t comment on Rachel’s third bachelor and his going “black” comment. I can’t believe that guy said that and thought it was a good idea! My jaw dropped! Yes I cringed when he said that. So tacky! Totally agree. Hope he either redeems himself or goes home night one! I’ve been reading the comments looking for someone to remark about Chris Harrison’s Big Surprise…personally I thought introducing some of Rachel’s guys on the ATFR Show was a mistake. Having it take place during a live show, with a live audience took away from the intimate personal first meeting I look forward to in the premier. Hopefully they don’t continue this trend. I know right!? His name was Dean. When he said that I shook my head. I was at the ATFR taping, and as I agree its okay to be open and honest seeing them together they just didn’t seem inlove, they seemed awkward next to each other and you could feel it in the room. As she should express her feelings of the other women and the show she should have also expressed her happiness and joy to be with Nick but she never did. She seems to be too negative and skeptical to even allow herself to actually enjoy her engagement. They just didn’t seem happy or present at all. I BET $$$$ it’s already over. Raven and Luke Pell please! ??? I think you make some great points about ATFR. I did appreciate how honest and critical Vanessa was of the show throughout her “journey”, and I think she was just trying to be real on ATFR. However, I also just felt a lot of tension between them in general, and they didn’t seem as blissfully in love as previous couples have seemed. I know that’s not necessarily an indicator of a lasting relationship, since most of those “blissfully in love” couples have broken up, but it was just a bit off-putting to see their facial expressions and how “checked out” Nick seemed, as Birgette put it in a comment above. I think k it was awkward because it was real like you said above in your blog. It shows Vanessa is taking this seriously as is Nick. I can honestly say I wasn’t a Nick fan… until Bachelor in Paradise. I think we got to see the unedited real Nick. He is human and I think we finally got to see him in the light he should have always been portrayed under. Best of luck to the two of them. Hopefully Ali she makes good on her word to babysit so you guys can get out for some much needed time. I enjoy reading for perspective on things also. Thanks for being easily relatable. This season wasn’t as excited as before. Usually, watching the show with my husband (yes with my hubby 🙂 ) made me giggle and surprised of the turn out – who the Bachelor/Bachelorette picked but this is season is kinda blah! No excitement! I was also turned off of Vanessa’s comments about everything. Like what other ladies said here, it’s always about her. Looks like they wanted to be together to make it appear that they have to be for the Final Rose sake. Well, this is only my opinion. I just pray they will stick together if they are ‘in love’ and work on their being in different countries. I give them props for being honest about the struggles, but for me, what was missing was this “it’s tough, but we love each other and really want to make it work” feeling. I even felt that at Brad/Emily and Ben/Courtney, who had tough ATFRs, but Nick/Vanessa just seemed resigned and defeated to me. I also feel like if they were having problems, Nick should have said no to DWTS, as even sean has said it’s a miracle he and Catherine made it past that. Raven & Luke! Who else thinks they’d be perfect together??? Yes or Raven and Wells! I’m loving the idea of raven and luke! I ❤ Luke but I think he is too little for her. I think Chase would be good for her I was and am team Raven all the way! After watching nick and Vanessa on jimmy kümmel I was more at ease! Lol they were less awkward! On ATFR it felt like they just had a huge fight before they went live and they were trying to talk about each other after fighting! It’s like having a fight right before going on a double date… you have to pretend everything is just peachy even if you want to strangle your partner! Seeing them later on in the night seemed like they made up and all happy again! I hope they last I really think they are genuine people! I completely agree! They did seem post fight-like on AFTR but then so happy and adorable on Jimmy Kimmel! It made me feel better to watch them on his show honestly. I hope they do make it for the long haul. And the proposal was the cutest, when he kissed her head before he said “marry me”… Ugh so perfect! Jimmy Kimmel was filmed earlier in the evening, before ATFR! I completely agree. They were more relaxed on Kimmel. I told my husband last night that I hope they stay to together just for the sake of both their families… especially Nick’s. His poor parents. One thing I thought was awkward was when Chris Harrison asked if they were going to get married and she said “We’re taking baby steps” and would never say “yes.” Even if you’re not in the process of wedding planning, shouldn’t you at least be planning to get married eventually if you’re engaged? Even if you have no details and it’s not in the foreseeable future. That’s the point of being engaged, isn’t it — to get married eventually? I’ve never been engaged so I obviously can’t say for sure, but I would think you could ask almost any engaged person if they were getting married, and they would say yes. Then again, she totally could have just been saying that as a way of saying “not right this second” … who knows! I was rooting for Raven and I still think she was the one to go with. I know Nick and Vanessa say they are honest and can work thru anything but I am afraid that will get tired soon. They will not stay together there was already a spoiler that said he picks Vanessa and that it doesn’t last . So I wonder if he will be on paradise again ? ? ABC needs to stop putting this guy on TV. I think people find it awkward because Vanessa was being real. People are used to seeing the couple all lovey dovey and acting like they have no issues whatsoever. I love Vanessa and love how REAL she’s been throughout this whole thing. I wish them both the best of luck! I hope Raven finds her happiness, too. As for Rachel, I am super excited for her season, it looks like it will be a lot of fun. I hope she finds someone who is as sweet and genuine as she is. I agree. He picked the complex girl rather than the girl who was relaxed, created fun, and who he could always laugh with. I think he made a big mistake. Just my opinion. Vanessa seems high maintenance to me, and Raven was adorable throughout the show. Big difference in N and V on ATFR ( awkward and annoyed w/ CH negative-based questions) vs the Kimmel, GMA and Live with Kelly interviews. They were relaxed and light-hearted and frankly just as “authentic” as they were on the ATFR. I saw a big difference being nerves and the lining of questioning. I thought CH was out of line with the continual negativism. He reminded me of the ATFR from Juan Pablo’s season where he was like a pitbull, hammering to get the man to say he loved her. Nick and Vanessa have their set of challenges to make the relationship work, as does every single couple. But they both seem very well aware of it and ready to work hard to communicate, compromise and resolve…that how all lasting relationships should develop. So damn the torpedos of gossip magazines, social media bullying and ballroom rumors. Nick and Vanessa are full speed ahead in this relationship. I wish them all the best. Couldn’t agree more! I thought the questions were just harping on the negative constantly & not letting it go. I completely agree! Harrison’s interview was off-putting. N and V seemed way more at ease in their other interviews. It also kind of looked like they had a fight or something right before atfr. I also agree with Ali that they were just being real. But I also feel like there has to be a little more excitement when you are in a fairly new relationship, and considering marriage! I hope they were just having a bad day, because they both looked defeated. I honestly think it could go either way with these two. The fact that Vanessa is moving to LA is very telling of their commitment. But they both really need to relax and have more fun together. Maybe once the pressure is off and things settle, they will find their groove. I really like Vanessa but Nick seems more like himself around Raven. I don’t think it will last unfortunately. I completely agree with you Ali….it was “real”, and I really hope they make it!! I loved the honesty of both of them. That’s the way it should be! Raven was a sweetheart and will find love!! As far as Rachael goes, I also lived the last guy…that dancing did me in….too stinking cute!!! Kiss that sweet baby of yours for me!!!?????? I don’t think it was awkward at all. Vanessa is a smart cookie and was just telling it like it is, which is the way it should be. That is the reality! I knew after their first 1 on 1 that she was it. It was the way he cared for her and looked at her. I hope they can make it last. I thought a lot of the problem was Chris Harrison! He kept asking them the same question in a slightly different way and was focusing on the difficult aspects of the show and their relationship. I think Vanessa & Nick felt this too, she said once “Like I said before….” and Nick kind of laughed like can we move on please! I kept waiting for Chris to talk about their love or something! Usually they let them watch their proposal together and they didn’t do that either. I feel Chris could have steered the conversation in a better direction at some point. Vanessa & Nick were just answering his questions honestly and that’s what we were left with. Also I’m curious about your thoughts with Nick & Raven. I started leaning more towards Raven on the finale because their relationship was so cute, fun, and seemed passionate. They were fun to watch together! I’m sure Nick & Vanessa have this too that wasn’t shown but I just wonder about Nick & Ravens relationship. I agree that the questions Chris kept asking were awkward and negetive. Nick actually addressed that a little on one the morning talk shows and said ATFR was a reflection of the questions they were being asked. I mean CH did asked some really stupid questions like “what was it like watching Nick in the fantasy suites with the other woman” and “are you worried it won’t work out because many haven’t before” He was like a dog with a bone, he never let up. I don’t know what he was expecting her to say “Yeah I actually really enjoyed watching Nick bone other woman” In the interviews the next morning they seemed so much more relaxed and playful with eachother. They kept looking at eachother and smiling, they made a lot of contact. I think the fact that they had just watched the finale live in the studio with the rest of the world on ATFR played a part it in. It can’t be easy to have your first official outing as a couple straight out of watching your fiance’ go on a date with someone else. Talk about pressure to perform.They wouldn’t have had time to process it or talk it through before they had to go on live TV so I think they may have had something to do with the strange vibe. I agree with everything you said. I didn’t think it was awkward at all. I just think they were being REAl!! Some couples get up there and fake it until they make it, not Vanessa she is going to tell you like it is and that’s what I love about her. I mean she was being real all season why stop now. I wish them nothing but the best #TeamVanessa? I loved the show! I felt bad for Raven, but yeah, she will totally bounce back! She is so sweet and gorgeous. I hope that Luke goes to Paradise and they get together because that would be one HOT southern couple! The visits with his parents were very sweet and geniune, but SO serious! I don’t think they laughed at all on either on them. They did have very important conversations though so that’s good. Raven made a comment that she always tried to keep things playful around Nick and while that is so good and was pleasant to watch maybe she should have dug a little deeper and had more signficiant discussions. Watching it I felt like she was almost avoiding have real conversations by being so playful. I’m not judging her though becuase the reason I noticed it is that I do that too! Just an observation. The after show didn’t exactly seem odd to me, but I felt that it had a more somber vibe. I hope they are happy and having fun and enjoying all of this. I loved seeing a few of Rachel’s bachelors! They were HOT so far and she looked stunning! oh boy, i’m not thinking this will work! why? Because they have had a rough time with the time apart, and yes, they are being real. But the looks, the body language, IDK, i was expecting them to,say they were not working out! The fact that Nick is on DWTS, and if he goes far, will put an added pressure on the relationship, and i think Vanessa will not be a happy camper with Nick spending so much time with another woman, married or not! Once again, she won’t be spending the most time with her man. Sorry, but i think the fighting will escalate, big time, and that will be that! I hope i’m wrong, but my gut says no, they will not work. I thought he was more at ease with Raven. I’m not saying he made the wrong choice, because only he can know that, but almost every conversation he had with Vanessa, she wasn’t happy with his answers. Challenging and talking are great and needed for an open relationship…but no one wants there to be angst all the time, with a touch of fun in between. The good has to outweigh the bad and I’m not sure it does. I completely agree with your assessment, Ali ~ I think it’s also important to point out that Vanessa has been pegged as strong willed and unwilling to compromise, but last night on ATFR, she mentioned she is moving to the US ~ she said it with a giant smile on her face. This is so telling how the editing can manipulate us all. P.s. Congratulations on your marriage ~ wishing you a million years of love and joy ? You’re so good at finding outfits – can you find out where Vanessa’s cargo jeans were from and off the shoulder sweater when she met his family? Thanks girl! I feel like you’re spitting the words out of my mouth! LOL I couldn’t agree more with what you said. This is just it.. their relationship is very real and that’s how people in normal world relationships act. They question they need reassurance, they want to make sure they’re making the right moves and then they take the risk of the next step. Any relationship is a risk an a gamble and I think they both know that. You’re right Vanessa is very direct and honest and that’s a great thing. She has a very good kind heart which she shows in so many ways so I think this relationship has a great chance of withstanding the hiccups they will get along the way. It won’t be easy but if they stay strong and in love together they can do it. I mean see how they speak about how hard it’s been meanwhile she still was excited to say that she’s moving to the states… that’s amazing!! Anyways before I ramble enough to take over this post I’m going to cut myself off haha! Best wishes and love you Ali!! Did anyone notice that Chris Harrison took Raven’s coat, hung it up.. and then after she got dumped..Nick walked her out.. without her coat, in the freezing cold. Her exit interview continued without her coat on. Then, when Vanessa came in.. Chris put her coat on top of Raven’s!!! I couldn’t stop thinking about how cold she must be!! I noticed that and even commented to my husband! I was like- ‘man, add insult to injury, make her freeze to death after getting dumped’! 100% agree! My friend who doesn’t watch it texted me and asked off ATFR was as awkward as everyone says and i said yes- because they were honest! Which I feel horrible for them now, because all this negativity is just one more thing they need to work through. It’s like people act like their job is to tear them down and test them. I LOVE Kelly Ripa and watch her daily, but I have felt so bad for Nick when he goes on there, and again today! Why do people need to tear them down…? What good does it do…? I’m so with you in AFTR. So many people weren’t into Nick this season and found him “dull” or a boring bachelor but I just love him. I found him to be real, and genuine this entire season and last night was no different. Awkward, yes. But they weren’t hiding anything and being true and genuine is way better then sugar coating and acting for the cameras. I’m a fellow Canadian and have loved Vanessa since day one, she took this so seriously and I loved how every time they were together it wasn’t just all fun loving, it was down to earth with honest and sometimes difficult conversations. So glad he chose her and I wish them all the best! Random but sincere question. Do you ever tire of discussing the Bachelor/ette? Does it ever feel like it’s revisiting your high school years after you graduate? I was just wondering with your beautiful family and new marriage if you ever just want to say I am done with that chapter? I really am being sincere because I love the show but after all these years I am beginning to tire of its formula. And AFTR is absolutely my favorite part each season because exactly as you said it is raw and real and not edited. Love your blog and super happy for you. I also love Nick with Raven. I thought he and Raven seemed to have more fun, but when I really thought about it, I realized it was probably because it was easier to be with Raven because he wasn’t as serious with her as he was with Vanessa. When there isn’t anything on the line in a relationship, you can let go, play, and just have more fun than you can when it is serious. Serious relationships involve serious discussions, and I saw those kinds of feelings between Nick and Vanessa pretty early on. Well I must agree the AFTR was awkward and mostly because of Chris Harrison’s line of questions. These two had not spent enough time together to be comfortable and they didn’t fake it. However, I stayed up and watched them on Jimmy Kimmel and they were much better. I don’t know whether these two will be successful with their relationship, but I do wish them well. If they survive DWTS, remember to put their relationship first and ignore cyber bullies. These people don’t know either one of you and wish they were in your place. That’s so ‘Raven’ will be fine. So classy on AFTR and I’m looking forward to her being on BIP. Hopefully there will be some great guys for her to date. I think you need to take the rose color glasses off and see Vanessa for what she is…insecure and needy. Nick is not happy and it showed big time last night. It was written all over his face and even showed by the way he almost fell off the couch trying to sit as far away from Raven as possible because he knew Vanessa would get pissed and it would be a huge thing if he sat near her. At the end she even grabbed him and turned him back around to keep him from looking at someone in the audience. They will do the media tour and he will do DWTS then we will hear about their breakup. He should’ve picked Raven and I think he knows it, he was way more himself with her last night than he was with his fiancé. Now that’s telling! If you get to interview Vanessa, please ask about her beauty/makeup routine, she always looks flawless but with little effort!! It’s crazy to say this, but I got emotional when Nick and Vanessa had their proposal moment. His reaction to her walking through the door got me good and the interaction between them through the whole scene was very raw and beautiful. I wasn’t completely crazy about this season and have never cried watching the Bachelor/ette, but that initial reaction got the feelings going big time. I loved their first date together and was rooting for Vanessa the whole time until the last couple episodes, which I felt like were due to editing (I fell for their tricks!). So I was really happy to see the proposal scene come full circle and remind me why I had been rooting for her. I loved Raven, but after even seeing them talk at the AFTR, it was clear that their relationship was a little more surface, and I’m saying that knowing that they didn’t really have enough time to dive deeper due to the nature of the show. Really looking forward to Rachel’s season, as awkward as the meeting of the new guys, I loved seeing how real she was and it got me really excited to watch her! I TOTALLY understand how hard it would be to watch your fiancé kiss and flirt with other people- especially while you live in separate countries, on separate coasts, and you aren’t even allowed out in public together for 4 months. While we were dating, my husband and I became long distance after only 8 weeks together. We had such a strong bond that it was INCREDIBLY painful and difficult to be apart when we were still in the throws of a new relationship and trying to get to know each other. I’m sure when friends asked me how it was going I gave the exact glum response that Vanessa did. Not because we were going to break up, but because it was the hardest, most stressful thing about my life! I think it all struck a chord with viewers because we had JUST watched them be sooooo loving and excited to talking about how hard the reality of life is. I get the feeling that both are realists instead of opptomists so phrasing things in a positive light doesn’t come naturally to them. I hope that’s all it is and their lives together will be much easier when it slows down and they can focus on each other. I think they have great potential and can make it work for the long run. I agree that aside from being real, which was nice, they seemed awkward on ATFR. BUT they were much more natural and cute in Jimmy Kimmel afterward! Omg!!!! I’m so flipping excited for Rachel’s season. I loved this most dramatic surprise ever in the history of bachelor until the next biggest surprise. (See what I did there 😉 ) anyways, my pick so far is Eric as well!! I just love the two of them together. In such an awkward situation, he lightened the mood, made her relax, and they are clearly in sync from the first moment they saw each other!! Love at first sight for sure!!!! Last night’s episode was filmed in Rovaniemi and Santa Claus Village (the place where Santa/joulupukki lives year round) is the biggest tourist destination there. People fly from all over the world to see santa there. So for the episode featuring Santa was not weird at all. He is an important part of Finnish culture and what they showed in these episodes from Finland was true Finnish culture. I love that they were being real! With that being said, I could feel the tension through the TV screen… It was almost like they disagreed on how to handle Chris Harrison’s potential questions before the show. I don’t know, it just felt like they were in a fight. Also, I know Vanessa lives in another country, but she HAD to know that if she was the last woman standing, there was a huge probability that she would have to move to the States! It’s just not your typical situation. I wish them the best and can’t wait for Rachel’s season to air. Oh, I love your outfit with the wrap dress! Its boho chic and right up my alley, Ali! <3 Pinned it. Ok Ali I really hope you see this. Because I’m dying to hear Vanessa’s answer to my question. So if you do interview her, I really hope you ask her. It does sound like she is going to be coming to LA BUT… on the show she seemed so unwilling to move, so I’m DYING to know… if you were so unwilling to move, why the HECK did you come to a DIFFERENT COUNTRY to find love?!?! (They have a Canadian bachelor…) I just don’t understand. Personally I think I saw more love with Nick and andi and Kaitlyn versus any of the women on this show. I don’t think he allowed himself to open up and FEEL on his season. I think Raven would’ve been a sure thing and he didn’t want a sure thing because in the end I don’t think he actually wants it to work out. So that’s why he went with Vanessa. I get that it would be super challenging. A- they got engaged in November and it’s now April, not all your family knows and you can’t be together and then not to mention your relationship (and all the others are on display for you to watch). I totally get that how it would have to be challenging. But in my opinion, they didn’t even seem excited to FINALLY come out in public and be excited about MOVING FORWARD, TOGETHER. That’s why I thought it was awkward to watch. They didn’t even seem like they wanted to be together on the same couch. I wouldn’t expect the couples to come out here with a wedding date. Why didn’t they ask more about living arrangements?! Because that’s what we want to know about now. I’m a true fan of the show and I always want it to work for the best but I just didn’t get the giddy feeling like I normally do. I also love DWTS so I’m hoping Nick doesn’t go too far, for the sake of their relationship. So they can actually have a REAL relationship TOGETHER! This whole season seemed a little “off” to me. Nick really grew on me after BIP, so I was actually excited when he was The Bachelor. But, it just seemed like there was no depth to this season. All the early spoilers from social media and the the show itself probably didn’t help. I wish N&V the best. Hope they can make it work. I was Team Raven all the way though 🙂 ATFR was definitely awkward to me. Not just the interaction between them….but, did anyone else think it was weird that Raven was only interviewed with Nick? Usually the runner up gets some time to vent alone with Chris before that happens. I felt like Raven wasn’t given a chance to be really open because Nick was there. I feel like that wasn’t cool. Hope she finds the love of her life on BIP. From my point of view Nick had two options, to fall into old habits or venture into the unknown. Vanessa was the safe choice, he said it himself she is “his type”, and even his father questioned weather or not going after his type was wise, since it has not worked for him at all. I also question if he is really as ready as he says, he brought up his ex’s alot during these last two episodes, which only made him look so unsure and insecure. Vanessa is head strong and the likeliness of her full compromising seems skeptical. I don’t see them lasting, not because she will not work hard, but because Nick will want out. I mean the fact that he just got engaged and is now jumping into DWTS is so telling. Whats going to happen when the tv moments are over?! Because there relationship is again going to be pulled into the spotlight adding more pressure. Also i loved Raven what a class act ! She is so strong and mature. I feel like she deserves someone amazing, better than Nick who had alot of emotional baggage. Why is the ring on the RIGHT finger is what I want to know! I completely agree Ali! I was texting a friend during the show that I thought Vanessa was being more honest with herself & Nick’s family. It was refreshing that she was so open & honest with his mom instead of just saying she wants to marry Nick & has no concerns. I loved her conversation with Nick’s dad as well. I thought that AFTER was kind of awkward too but I think that’s because everyone expects the couples to be all bubbly & act like it’s still a fairy tale. I think they were both just being honest with themselves & the audience. The thing I realized about Nick was that he’s just a brutally honest person & sometimes that doesn’t translate well on TV. I think with Vanessa he finally met his match. I really hope that things work out for both of them. I think Nick’s breakup with Raven was one of the most difficult breakups I’ve ever seen on the show. I could see in Nick’s face how much it was killing him to break her heart. I could also see the heartbreak all over her face. Raven is a class act and I can’t wait to watch her on BIP. As far as Rachel meeting some of the men I thought it was awkward & it’ll definitely be a point of contention with the guys during her season. Rachel is awesome & I think she’ll have one of the best seasons ever. Love this! Absolutley agree with eveything you said!! So my perspective, I for darn sure thought that Nick and Raven was the woman for him, and I still do, and why not Vanessa. Well, Raven is a truly sincere down-to-earth southern girl. She was open and honest with Nick that she was in love with him and was ready with any hesitation to be engaged and start a life with him. Raven’s connection with Nick and his family was awesome, she just fit right in and meeting them in Finland was so comfortable for her and Nick. Nick’s younger sister Bella was soooo happy to see Raven walk through the door, her conversation with his mother and father were perfect. 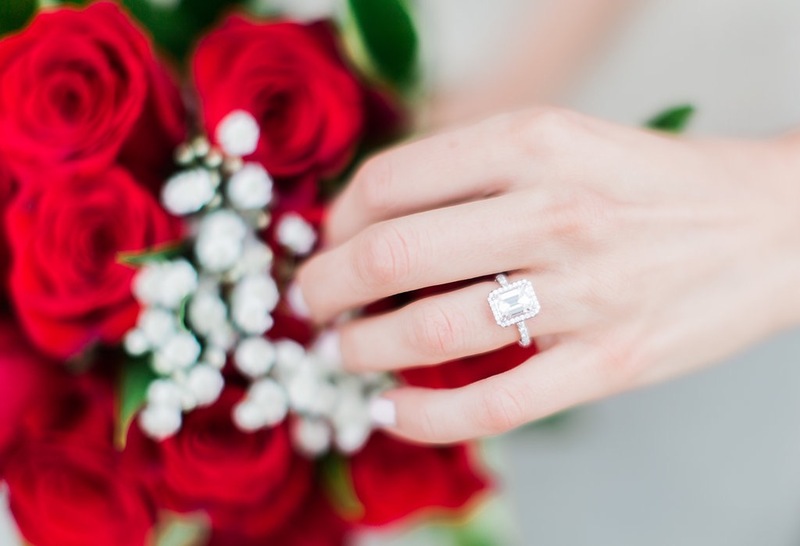 She expressed without any hesitation or question that she loved Nick and was ready for a proposal and marriage. Now Vanessa I thought the meeting the parents was the most uncomfortable meeting I have ever seen. Not just nerves either, she was uncomfortable and not because she’s shy, that she is not. Vanessa gave a scared expression and expressed to us fans in tv land and expressed over and over again that she was so unsure and not ready and hesitation and on and on!. She expressed this to Nick’s parents and to Nick on all her final dates with him. It’s like he just overlooked this. This is an issue, and so many questions with no answers that haven’t been resolved. On After the Final Rose, when Chris H was speaking to Vanessa alone she kept saying that there are good days and seemed to be more bad days, she didn’t truly look happy, I have concerns that this is going to be a long haul, and I hope it works for them, but I think Nick should have chosen Raven. I completely agree! I think it was real not uncomfortable. I loved it. I felt they were just as “real” as previous couples on AFTR. I think the awkwardness was a result of their lack of joy/excitement/whatever. I’m not saying they should be jumping up and down or all over each other, but there was a light missing from their eyes. Nick was disconnected…he looked defeated. Vanessa did most of the talking…even for him. Nick’s father said at one point that Nick’s pattern is to go for independent women. Nick enjoys the challenge. But I think the woman he has chosen is stronger than he is. She’s already got him beat. Challenge over. Sadly, I don’t think they will last. Vanessa was super sweet, but Raven became my favorite. Glad she will be on BIP! I HATED the ATFR! It was so awkward…I felt for Rachel. She really handled it will, but hope they don’t do it ever again. It was STUPID and awkward! Women are always judged by the look on their face. For some reason women are always expected to smile. Some People Don’t Smile ALL Of THE time. Doesn’t mean they are not happy. Vanessa is one of those people. You Don’t Need To always smile to be happy. Maybe she is deep in thought listening. …. so people assume because she wasn’t smiling and bubbly. things weren’t going well. She was also that way on most of the show. Anyway, I feel like they are in love and I wish them the best. Remember dont ever say to someone, “why dont you smile” unless you are a mind reader. Its rude! Love your blog Ali, and Congrads to you on your marraige. I found the ATFR a little awkward but I mde sure to watch them on Jimmy Kimmel (taped prior to ATFR) and then this morning on Good Morning America. What I saw on both of the latter shows was encouraging. They were very into each other, very calm, yet still very real. I appreciated the fact that Nick wants to date her and get to know her – its smart. She is beautiful and mature, facing this exactly as she should be – head on and open. Hi Ali! Love love love your blog and insta stories of Mollie and Owen!!! You are a rockstar mom and I love reading your blog and can’t wait to read your wedding article tomorrow! You nailed it, my thoughts exactly. It was mushy and fake and showy. Thanks Nick and Vanessa for keeping it real. He’s hard to read anyway. Good luck with YOUR Fairytale? One thing I do know…he gets an A+++++for that beautiful ring. I want one like that!!!!! I have to admit I wasn’t a fan of Nick’s, but he came through and if he stays a good honest man, that’s all you can ask!!! I couldn’t believe the screw up. Raven left without her coat, and the Vanessa enters and its stil hanging. I was so sad when Nick told Raven goodbye and I agree with Ali that she showed such grace then and ATFR. Now that she has been seen by the world someone great is going to scoop her up. I have reservations about BIP though. It just seems like hook ups rather than love connections, except for Carley and Evan. I saw Nick and Vanessa on Jimmy Kimmell and thought it was strange that neither could give the date of the proposal, just that it was before Thanksgiving (American). I wish them well but they seemed strained at the ATFR. Vanessa seemed more touchy-feely than Nick. To me it seems the couples that make it are the ones that start living a more normal life after the show and stay out of the spotlight like DWTS. I wondered why any of them do it until I read the base pay for doing the show is $125,000 and then more each week you stay. Luckily they paired him with someone who is already part of a couple unlike Chris Soles who had an affair with his partner ending his engagement. I liked what Katelin had to say about them not letting her do the show. The only Bachelorette that has done the show is Trista. Mellisa Rycroft did it but I think it was a concellation prize for how Jason dumped her at the ATFR. I am so glad you made the comment about Santa! Is it possible Vanessa has a thing for Santa and Nick requested that??? I found that Santa creepy. I know I am in the minority but I never saw “IT” with Nick and Vanessa. Yes, they had a nice first date but after that I never felt like they were having that much fun together or had that obvious passion when they were together. Never the way he was with both Andi and Kaitlin. This season, I felt like him and Rachel had the best thing going…watching their dates I’d have a sappy grin on my face because they had depth yet always seemed to be having a great time together, plus their chemistry was hot. I know that ship sailed a while ago but I really felt like she was the best match for him. ATFR did feel strained to me…I love when contestants keep it real but their body language and facial expressions just didn’t scream “I’m in love and hopeful about the future!” Was it just me or did both Raven and Rachel seem to kind of side step the question when asked about the outcome/Nick and Vanessa being engaged?? Not only did they seem reluctant to give their endorsement, but made me wonder what kind of relationship they had with Vanessa and what they think of her as not just a match for Nick but as a person, in general. The Santa thing WAS so weird! Maybe she has told him before that she really loves Santa so he picked that for her. But from the outsiders perspective with no context, I agree it was a weird pick for a final date. I agree with the evaluation of ATFR. The whole program concept is a bit unreal in that how the heck can someone pick a life partner under those conditions. It has got to be a real stresser. I have had trouble in my four relationships finding and maintaining three of four relationships out of which I have four daughters of my own and a whole bunch more grand kids and . . . long story! The final relationship goes back to high school (60+ years) and being back fence neighbors with a whole lot of common friends. Stress level is much lower and compatibility much higher. I think Raven is a very strong and understanding person. She sure would be a lot of fun. I would never want to hurt her but then again I wouldn’t want to hurt Vanessa either. I think Vanessa may be the less forgiving of the two of them and possibly more demanding but I liked her from the beginning because, like Rachel, she is intelligent and much her own person as well as loving and giving. Having the families so far apart, IMHO will be difficult for them. As for Rachel, she is a real cutie and a keeper in my book but more than cute I think she is beautiful in looks and heart not to mention intelligent. She will be a real prize for the right guy. My take on his choice is that Raven and Nick are more easy going together. I feel like they would not have as much give and take as he and Vanessa. He admitted he likes a challenge and strong women. Even his dad stated Vanessa was more like his other love interests. It doesn’t surprise me that they might have some real conversations and not come off as perfect. Disagreements on little things is healthy but not on big things those are things you should make sure you are aligned on before you get married. I feel like they are working there way through both. Not having an audience and freedom to be a couple should be a big boost. I came across Ali’s wedding photos in Youtube. Check them out! I wonder if the way Vanessa is handling this by being realistic is because she is 29 and not as naive as someone younger might be. I wonder what is the average age of the women chosen on The Bachelor? Also what the average age is for the women who are The Bachelorette? I bet we’ll see Nick on “Bachelor in Paradise” this summer… Once a dog, always a dog. The most awkward part of After the Final Rose was when Rachel met the guys. It was such a terrible idea. Talk about awkward. The interactions were difficult to watch. After The Final Rose/Bachelor/Bachelorette, please don’t ever do that again. I’d rather run my nails down a chalkboard than watch that sort of intro again. Plus, it was not fair to add extra pressure to both Rachel and the 4 guys she met all the while having to do it live in front of an audience. What a historically bad idea. Thank You) Who used this bbcream?